Hello, hello! How is everyone's week going? So it's been a while since I posted an Outfit of the Day and the truth is, sometimes it's just hard to find the energy and daylight hours to shoot. 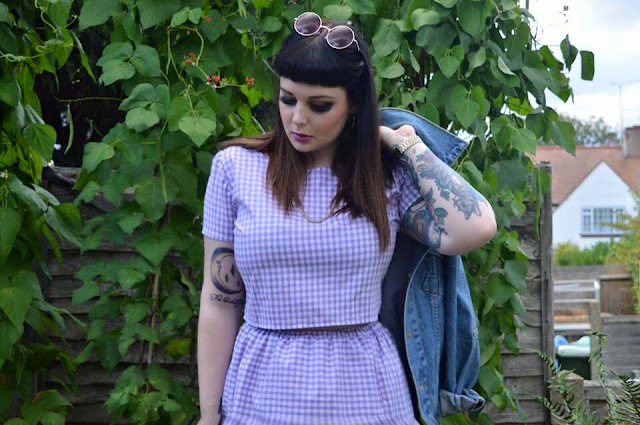 I thought I'd make a special effort to find some time, however, for Tallulah's Threads who sent me this amazing gingham co-ord. Those of you who follow my blog regularly will know that Tallulah's Threads are veterans to Popcorn and Glitter. I've featured them a few times over the last year or so and it's easy to see why. I I was having a pretty tough week last week and I came home to a package containing their Lilac Co-Ord Set* and it really made my day. I'd had my eye on it for a while as I love the colour and style of the piece. Thanks so much to Danielle at Tallulah's Threads for a massive pick-me-up and this stunning outfit. 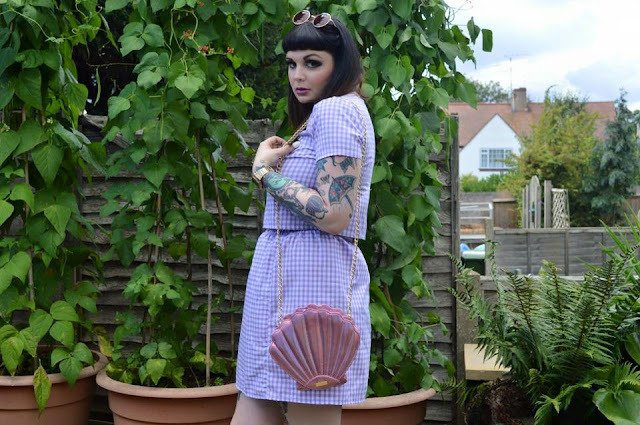 I've paired my co-ord with the Skinny Dip London shell bag and some Lamoda accessories. 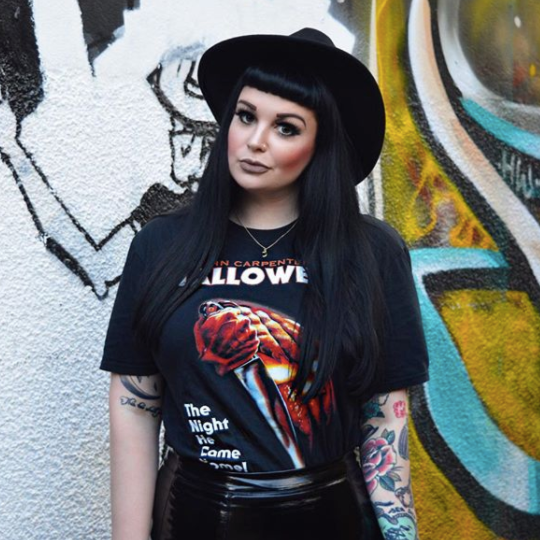 Have you tried Tallulah's Threads yet? Their Summer is now on and don't forget to use POPCORN10 at the checkout for 10% off! You're welcome. 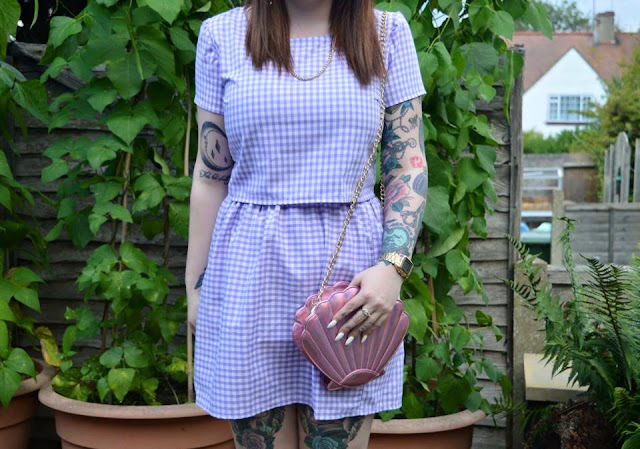 Don't forget to check out my other Tallulah's Threads posts HERE. Disclaimer*: This product was sent to me for the purposes of review. As always, all thoughts and opinions are my own and do not reflect that of the brand. The co-ord with that bag is so adorable, you look like Dorothy meets Ariel! I love this one you. Good lashes and socks too. How do you find their sizing? This outfit is lovely - you are stunning. What lipstick is that you're wearing? 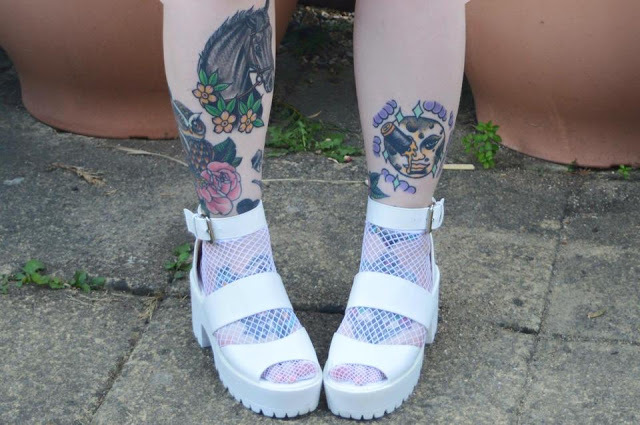 It compliments the co-ord perfectly! You are the most beautiful person, EVER! I love your whole style too, so awesome! That co ord is just perfect! I'm definitely considering using that 10% off! Super jealous of your bag too! Are you planning on doing any more vlogs? I miss watching them! Your look is very special and I love it, really amazing look. Sooo stunning. I adore this look! I need to get my self a co ord! I love your bag, I do need it in my life! Just wanna be a mermaid! Looking at the comments, the consensus is that you're gorgeous in gingham, Sophie :) I concur. I hope you're having a good week! Ah Sophie you look utterly stunning as always - you get sent the cutest of things! I've not been a fan of co-ords but you are ROCKING this one for sure. 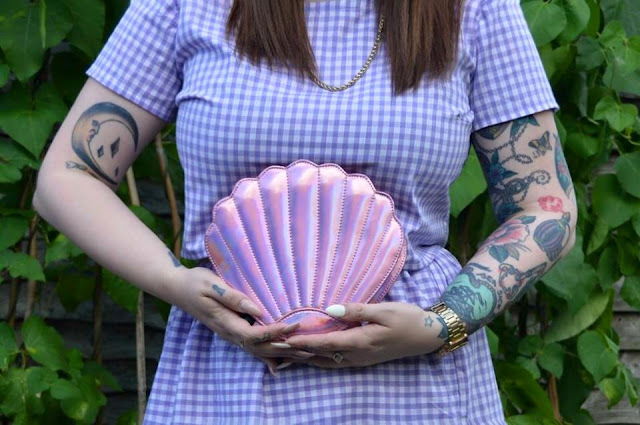 And that shell bag, mermaid chic. I Appreciate Very Much Your Style Dear Sophie : a Mix of Alternative & Class Look for a Modern Nice Girl , lol !! !